If there’s one lesson fans of science fiction have learned in the last month it’s that the past is gone (right Kylo?). In reality, however, the past is never gone. Surely 2017 was full of lessons learned and challenges hurdled. Unfortunately for us there are no end credits when we emerge victorious after completing a major project. There always seems to be another death star just over the horizon with new obstacles in our path. Fortunately, your design and engineering teams do not have to fight the good fight alone. Attendees get hand-on with the latest tools in hundreds of technical sessions at SOLIDWORKS World. From February 4-7, 2018, 5,000 SOLIDWORKS rebels will muster in Los Angeles, California with the main purpose of learning new capabilities to succeed in the wars to come. SOLIDWORKS World 2018 will be the biggest gathering of the SOLIDWORKS community of the year. 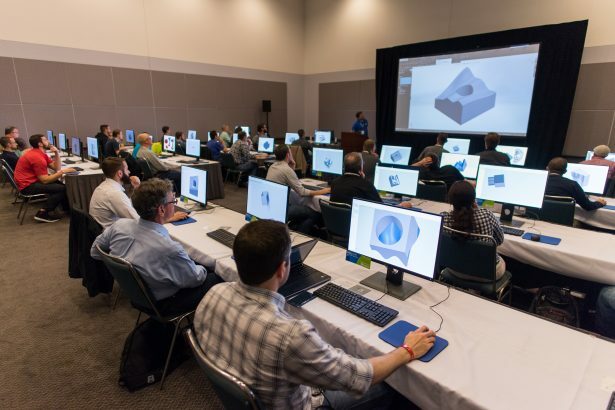 Attendees will get hand-on with the latest tools in hundreds of technical sessions, experience cool products designed in SOLIDWORKS, and, probably the most important opportunity—to learn from face-to-face discussions with fellow battle-tested SOLIDWORKS users. Hearing about SOLIDWORKS World from me is great and all, but it’s much more powerful to hear from the attendees whose professional development benefits from attending year in and year out. So let’s hear from previous year’s attendees why SOLIDWORKS World is well worth your time. Reward your design team for a job well done by sending them to SOLIDWORKS World 2018. They’ll pay you back with new skills and knowledge to take on anything 2018 throws your way. A special 3 for the price of 2 deal is now available. Take advantage and transform your team into the most powerful CAD force in the galaxy.